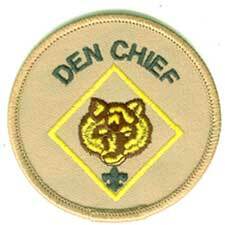 The Den Chief helps Cub Scouts advance through Cub Scout ranks and encourages Cub Scouts to join a Scouts BSA troop upon graduation. Is a friend to the scouts in the den. Encourages Cub Scouts to join a Scouts BSA troop upon graduation. Attends at least 75% of den and pack activities that do not have schedule conflicts with troop meetings or activities (confirmed by Den Leader). Overnight den or pack activities are not considered towards this requirement, since the den chief would not normally be able to attend those. Receives positive evaluation from Den Leader after serving for at least four months (Star rank requirement) or six months (Life rank requirement). ASM advisor will contact Den Leader for this evaluation.